I know I am a little bit late to the Easter game but better late than never, right? Every year, the week before Easter, we start to bake Easter Cake Lambs as a gift to friends and one for ourselves, of course. 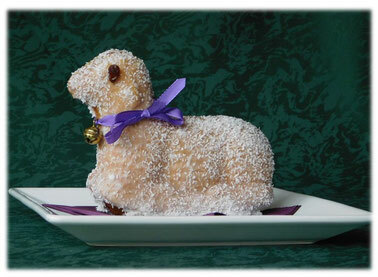 So if you are looking for a little present for the Easter celebrations, how about a self-baked Easter Lamb. 1. Beat the butter/ margarine, sugar, and vanilla sugar until frothy. 2. Add eggs, salt, and beat together everything well. 3. Fold in the flour and baking powder until all ingredients combine. 4. Lightly grease the baking tin and then dust it with flour. 5. 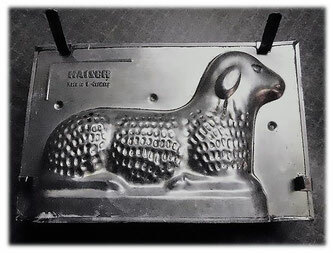 Pour the dough into the lamb cake mold and bake in the oven at 180°C for about 60 -70 minutes. 6. Take cake out of the oven, let cool off and remove from the baking form. 7. Mix icing sugar, water, and lemon juice to a slightly plumb, but easy to spread mass. 8. Take the pastry brush and glaze the cake with the icing sugar mass. 9. 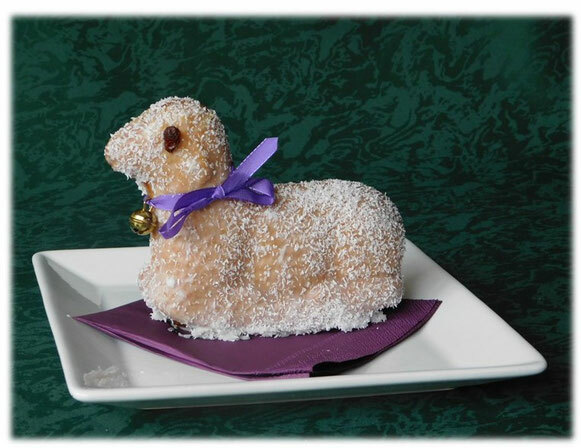 While the glazing is still sticky, sprinkle the lamb with grated coconut. Now let it dry. Let me know if you gave it a try and Happy Easter Holidays. Ich habe das Lamm zu Ostern gebacken, ist sehr gut gelungen. Auf dem gedeckten Tisch sah es sehr gut aus. I really like your blog, it looks very nice, I'm happy to visit again to see your blog because it's very good indeed, thanks’ for all. You have such a great sense of style. I love reading your blog posts because you always give me inspiration to try something new and different.